This Premium Sportfish features Longer Trip Lengths of 5 and 9.5 hours. Morning trips start at 7am. Afternoon trips start at 12:30 pm. It is located on Key Biscayne, which is great for those staying there and is also a nice scenic drive for those coming from elsewhere. This is a tournament boat with a tournament crew, which makes it perfect for those looking for an action-packed fishing experience. Captain has over 30 years of experience and is well known throughout South Florida as a tournament winner. 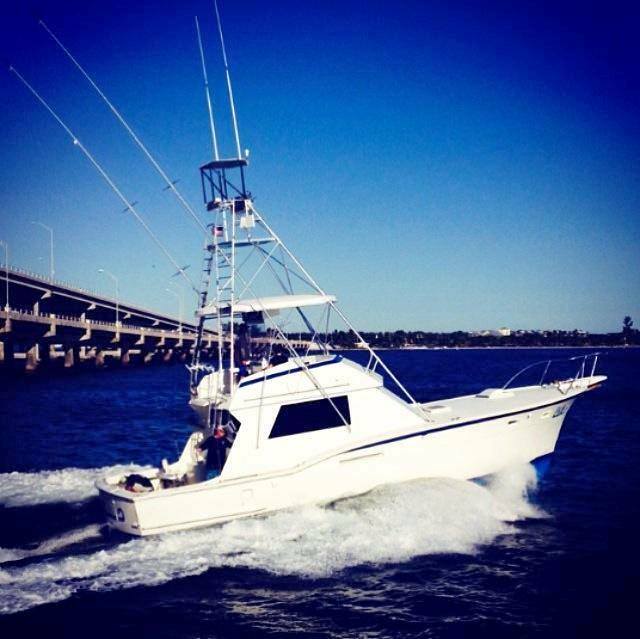 The boat is decked out with great equipment and at 46 feet is a larger than most other charter boats in the area. Air Conditioned, Satellite Radio, Bathroom and more.